Christ Church Derby is a friendly, evangelical church in the centre of Derby. We have been brought together by God through the gospel, and enjoy meeting together to praise him each Sunday. We'd love to welcome you, whether you're a committed Christian or just beginning to explore the Christian faith. Singing and bible stories for babies and toddlers, every Wednesday 2-2:30pm. We'd love you to join us for songs and Bible stories at our Little Singers group. It's free to attend and all under-5s and their parents or carers are welcome. We meet every Wednesday 2-2:30pm at Christ Church Derby, starting 9th January 2019. See you there! The IPC is a small denomination of churches with congregations in the UK and Europe as well as 6 churches of the Korean Presbytery formed from 6 Korean speaking churches in the South of England. Visit the IPC page on the IPC Ealing website for more information about the denomination. Our main service is on Sundays at 4pm on Great Northern Road. We run a creche each week as well as a number of age-targeted Sunday school classes at the same time as the service. After church most Sundays the student group meets for food followed by Bible study. We have a weekly Bible Study and prayer meeting on Great Northern Road. We're hoping to start up Community Groups in the coming term as well. Put most simply we are a Christian Church, so we try and live according to God's word, the Bible. Finally we are a Presbyterian Church, so our official doctrinal basis is the Westminster Confession of Faith. Christ Church is on Great Northern Road, DE1 1LR, near Uttoxeter New Road. From the city centre, walking up Great Northern Road, Christ Church is 200 yards on the left. View map & directions on Google or Here Maps. Parking is available at the church for up to 40 cars. Free parking is available further away from Christ Church on Great Northern Road. Meter parking is also available outside church on Great Northern Road. At the time of writing the cost is £1.30 for 4 hours parking. If you'd like to contact us, please fill out the form below and it will get sent to us. We will try and reply as soon as possible. Christ Church Derby employs Joel as our full-time minister. We also have two more elders who form an eldership team as well as three deacons. Joel is our Minister. Before coming to Derby he spent four years as Assistant Minister at Christ Church Westbourne in Bournemouth, and prior to that did his theological training at Union School of Theology (formerly known as WEST) in South Wales. Joel is married to Kathryn and they have three young children. Tim is one of the elders at Christ Church. 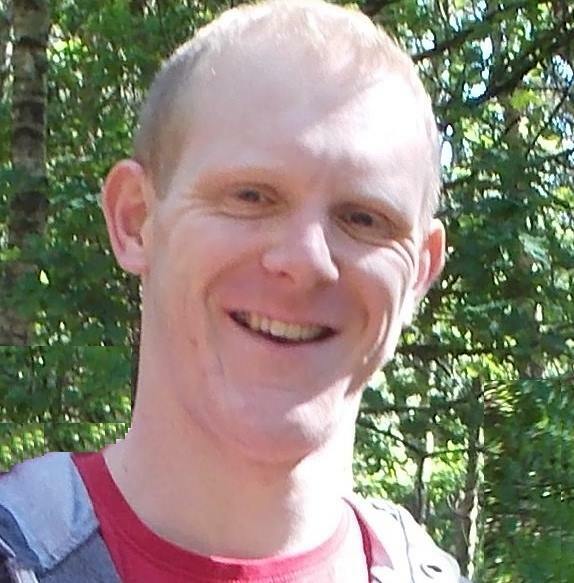 Tim is a trained Surveyor and has also served as a Curate at St Giles church in Derby and has also worked for Crosslinks helping connect missionaries with partner churches in the UK. Tim studied at Oak Hill College in London and is married to Janice and has two grown up children. Matt is also one of the elders at Christ Church. He currently works as a Software Developer in Derby. In 2002 Matt studied for a year at Moore Theological College in Sydney, Australia and then worked for Trinity Baptist Church in Derby where he later served as an elder. Matt is married to Helen and they have three young children. The first Wednesday of every month is a prayer meeting at church. The other Wednesdays are in community groups that meet in people's homes. We're currently looking at the Psalms in small groups too.